Solspill (Sol=sun; spill=playing or reflection) was written in 1983, at a time when I lived in a mountain valley in the interior parts of Norway. Among the local farmers I came to know, was a log cutter who was also a gifted photographer. He always brought his camera with him and found the most intriguing and beautiful motives, such as patterns in snow and ice, detail of lowers and leaves, mist and cloud formations etc. Solspill was inspired by this very sensitive approach to nature – an approach in which an inconspicuous first impression often reveals astonishing features with a second, more detailed look. The piece is written as a series of variations based on a simple, folk tone like melody, using some motives from the music played by the local fiddler of the valley. The melody is transformed so much that it cannot be recognized, in a similar way that a camera lens may zoom in on a detail leaving the totality out of sight. Norwegian composer whose works concentrate on a contemporary transformation of the folk-music traditions of many peoples, especially those of Scandinavia. Thoresen was born in Oslo in 1949 and studied with Finn Mortensen at the Norwegian Academy of Music, graduating in 1972. He studied electroacoustic music in Utrecht, and musique concrète and spectral music in aris. He has been professor of composition at the Norwegian Academy of Music since 1988. Thoresen has received many commissions for works which have been performed across Scandinavia, including commissions from all the major Norwegian Philharmonic Orchestras and the French National Radio. An important source of inspiration for Thoresen has been the Bahá’í religion whose texts he has set in many works. His oratorio Traces of Light (2000) was performed at the inauguration of the 19 terraces of the Bahá’í holy place on Mount Carmel, by forces from Canada, Austria, Israel and Transylvania. 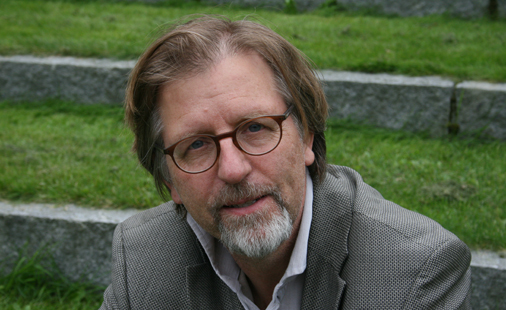 Thoresen was winner of the 2010 Nordic Council Music Prize for his work Opus 42, which consists of four pieces written for the vocal group Nordic Voices.